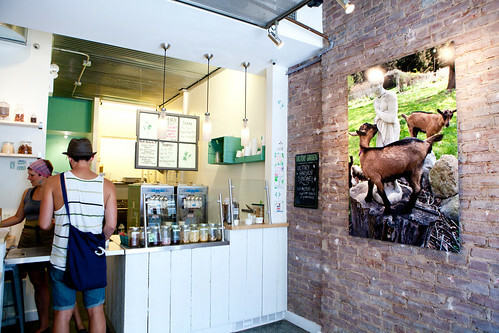 Victory Garden, is a boutique located in the West Village that specializes in all things goat’s milk, namely its luxuriously creamy goat’s milk soft serve. This charming boutique has an exposed brick wall one side of the store, while the other side evokes the feeling that you’re somewhere in the Mediterranean, with a large display showcasing their natural beauty products like goat’s milk soaps, beeswax cream, and even the rare ingredient in the U.S., mastic bars. 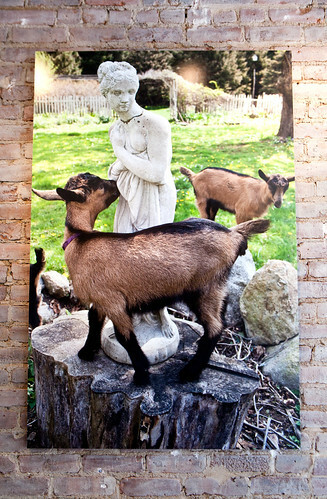 I was intrigued by the fact that owner and chef Sophia Brittan’s uses local goat’s milk from Beltane Farm in Lebanon, Connecticut and the soft serve flavors typically change on a bi-weekly basis. 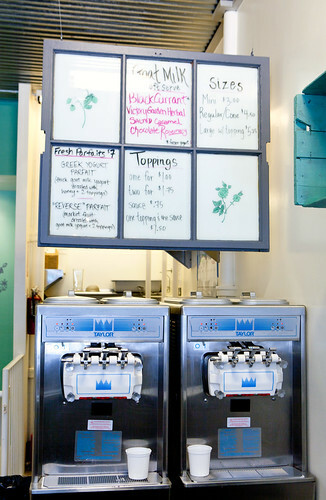 This local goat’s milk and very seasonal soft serve makes this place unique compared to the numerous ice cream and gelaterias within the West Village. 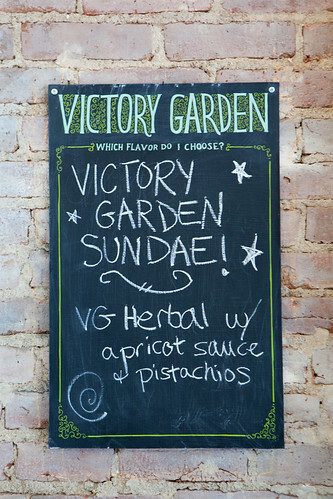 The day when I was at Victory Garden, their soft serve flavors available a la carte were black currant, chocolate rosemary, Victory Garden Herbal, and salted caramel with their dozen or so fresh and dried fruits, nut toppings, and even honeycomb candy from a local artisan confectioner, Liddabit). 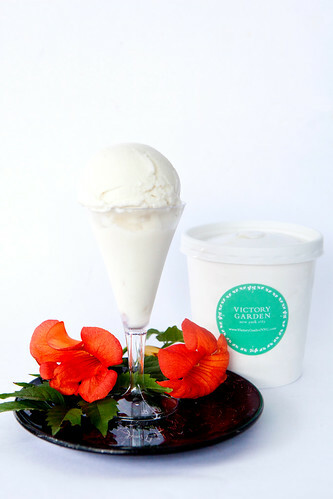 Dazed from the many combinations my mind can think of, I started with the Victory Garden Herbal Sundae. 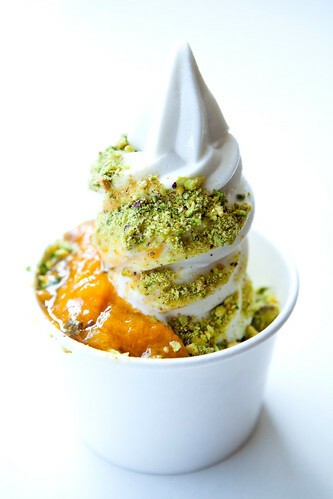 This sundae contains their namesake herbal goat’s milk soft serve, coated in crushed pistachios and chunky apricot sauce. I love the combination from the refreshing, almost minty (though there were rosemary and a number of other fresh herbs steeped into this mix) works with the buttery pistachio and the sweet, slightly tart apricot sauce gave it some decadent, slightly viscous texture that you’d expect in a sundae. It’s healthier than a typical sundae but I certainly didn’t feel deprived of the richness of custard-based ice creams. 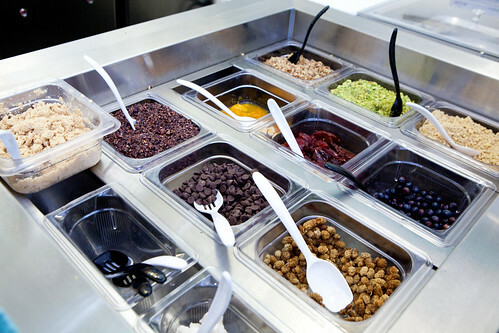 The other sundae I gotten was a rosemary chocolate and black currant soft serves topped with crushed walnuts, cacao nibs and dried mulberries. 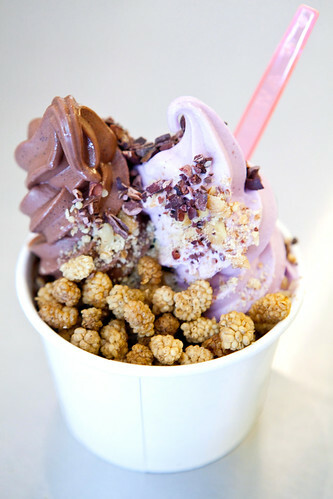 This mélange actually worked as the toppings echos the soft serve flavors, the nuts and nibs gave it a wonderful, crunchy texture, and the pleasantly chewy, dried mulberries ties it all together by imparting its rich, sweet-tart flavor. Simply wonderful. 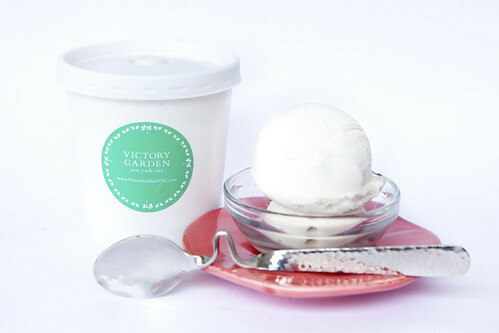 I took two pints of their hard frozen goat’s milk ice creams with me to serve for a dinner party – Victory Garden Herbal and Mastic Dream (I wanted to eat this flavor in soft serve but it’s changed out for the season). 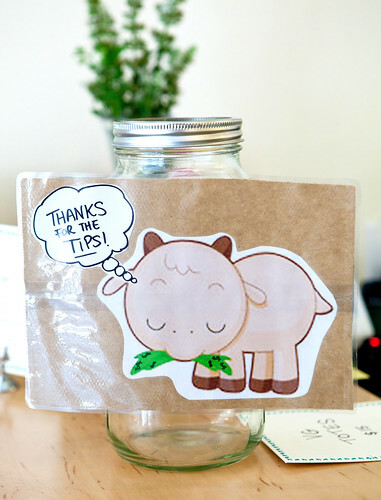 I adore their namesake herbal ice cream because it’s really refreshing for the hot, humid weather and it does not weigh down (or even bust my guests’ stomachs) because the goat’s milk ice cream is not super rich. The Mastic Dream is interesting for being a bright white, pine-y flavored ice cream. 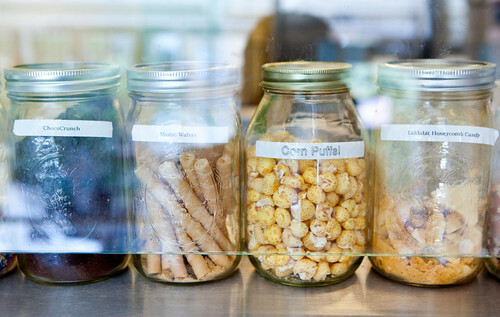 The mastic flavor might not a favorite for everyone but it’s certainly something you should try once. I don’t mind eating that pint by myself, if I had leftovers.